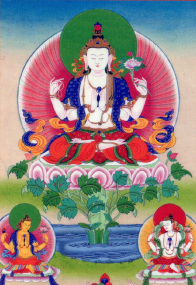 The Berzin Archives - A huge, comprehensive archive of Vajrayana Buddhism. Note in particular the wonderful article on the Bodhisattva Vow. Dharma Media - PDF and MP3 teachings. Wonderful Hi-res JPEG images. The Four Noble Truths - Lots of info, and many MP3 downloads of wonderful teachings.